Around Seattle, many people take to the trails on the weekends for some leisurely ATV exploring or more intensive rock crawling. In our part of the state, Tahuya State Forest and Reiter Foothills Forest are just a couple of areas that accommodate ATV trail riding. Whether you book a tour with a local ATV group or head out with your own equipment, an unexpected accident can bring a fun day to a grinding halt. ATVs (all-terrain vehicles) come in many different shapes and sizes. This class of recreational vehicle includes four wheelers, side-by-sides, and off-road utility vehicles. While many land owners use ATVs at low speeds for property maintenance and upkeep, many prefer to use them as recreational or sports vehicles. They head out to the trails to take in the scenery and have fun. Some of the most common accidents involving ATVs are rollovers, collisions, and stationary object crashes. Many ATVs do not feature rollover bars/cages or restraint systems. Upon impact, these open-air vehicles can launch drivers and passengers into the air or pin them to the ground. ATV accidents don’t require significant speed to cause serious and deadly injuries. Common injuries associated with ATV accidents include traumatic brain injuries, fractures, deep lacerations, burns, internal injuries, and amputation injuries. Since these incidents commonly take place in the backwoods of our great state, reaching medical support represents a major obstacle to adequate care. Every minute spent without access to medical care can exacerbate an injury. While ATV riders do not need a license to operate these off-road vehicles around Seattle, they do need use permits and wear a helmet if their vehicle does not feature restraining systems and roll bars. The state of Washington uses a pure comparative negligence rule to determine liability in injury claims. If a defendant can prove a plaintiff’s carelessness prior to the incident, the plaintiff may lose part or all of the damages awarded in a claim. Insurance investigators and/or juries may construe a rider’s failure to wear a helmet as an act of negligence in an accident claim. If, for example, the rider suffered a traumatic brain injury during the accident because he or she failed to wear a helmet, the claimant may not receive full compensation for that particular injury. Other factors that can impact an accident claim include the presence of alcohol, failure to adhere to minimum age rules, reckless driving behaviors, and failure to obtain a valid use permit. 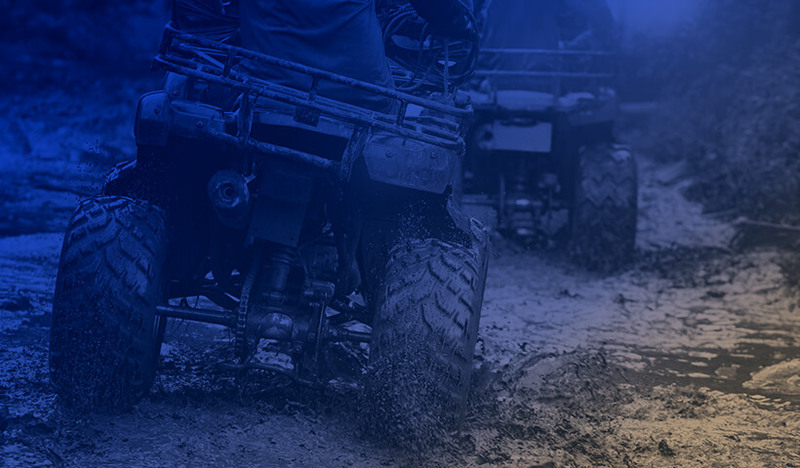 Determining liability in ATV accident claims is often a complex and challenging process. Where the accident took place, the cause of the accident, and ATV ownership may all play a role in who faces responsibility for the incident. If, for example, you rent an ATV from a company, a liability waiver may or may not interfere with your ability to hold the ATV rental company accountable. On private property, someone’s homeowner’s insurance may cover your injuries. Some ATV enthusiasts invest in ATV insurance to protect themselves, but many others do not carry any insurance on their ATVs. In single ATV accident claims, the ATV manufacturer may face responsibility for designing, manufacturing, or marketing a defective part. During an accident investigation, your Colburn Law attorney, Greg Colburn, will pursue all possible sources of compensation. After a preventable ATV accident around Seattle, you deserve a fair recovery. At Colburn Law, we know the laws and case precedents that govern ATV accident claims in Seattle. Connect with our team today. Greg Colburn is an active member of the community, he is dedicated to helping those who were wrongfully injured get compensation for their injuries. For more information about Greg’s involvement in the community, click here.